We would like to be able to tell you adventurous and odd tales, make a good cause to the limit of sensationalism, entertain you with fantastic stories to explain to you how the idea of setting sail towards this wonderful continent with the aim of undertaking our activity was born, but that will not be possible because, as often happens, also in this case it comes from the simple emotions that lead to the great daring adventures …and this is how everything began, during ‘our’ African nights, camping on the banks of the Zambezi, talking around the camp-fire, nursed by the starlight and the aroma of coffee, entranced by the symphony of noises and sounds of a continent that lets us live and that we have lived to the end. 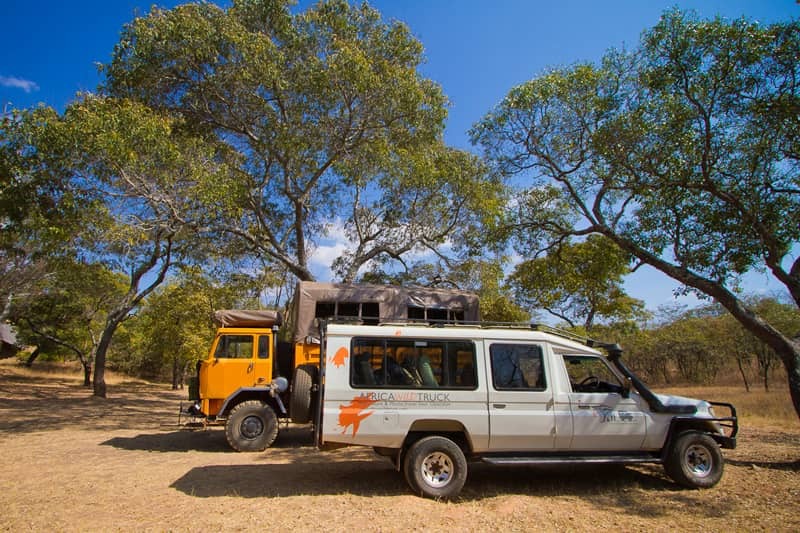 Africa Wild Truck is a local Tour Operator based in Malawi, born from a big passion for travelling and from our numerous African experiences. Experiences that, since 2005, we have decided to share with whoever would like to join us on one of our expeditions: we will be happy to accompany you on a voyage of discovery to this marvelous Continent. To bring benefits to nature and local people through eco- tourism is our inspiration. 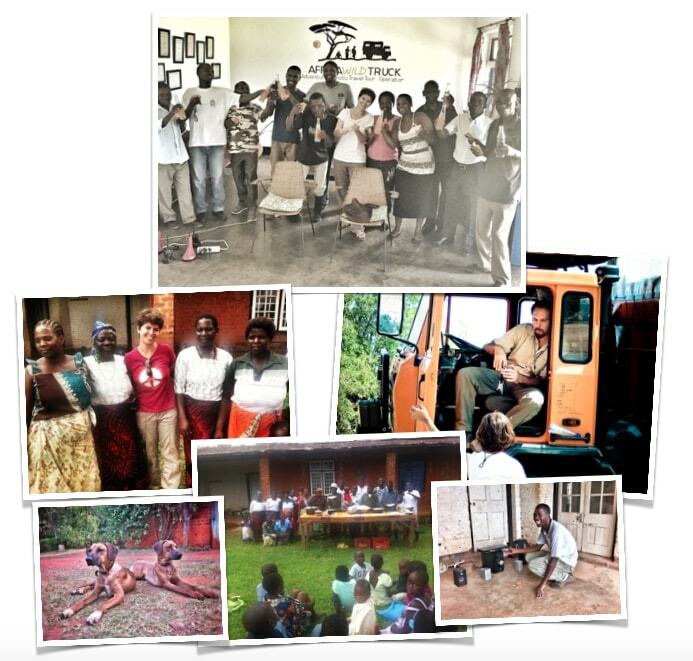 We are involved in projects of nature conservancy and we donate part of our income to associations like Around AWT. 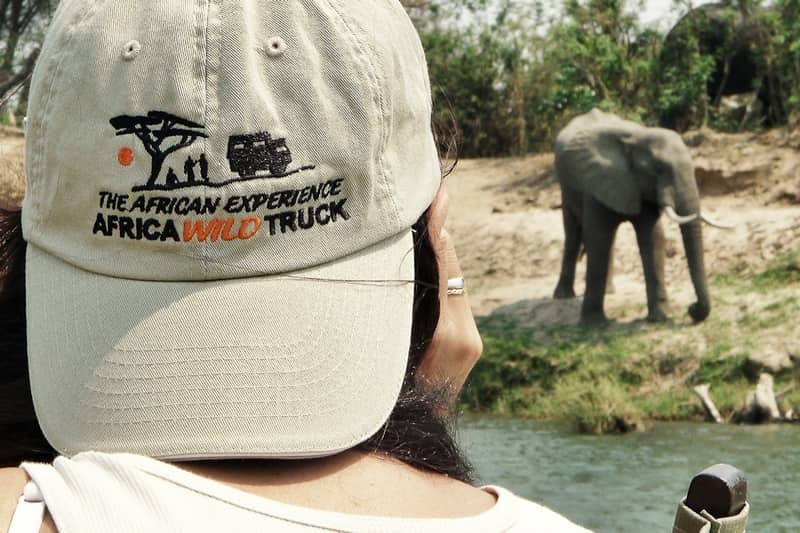 Every expedition, every travel of Africa Wild Truck is a special adventure planned and designed in detail by us and with love by whom experiences Africa everyday. 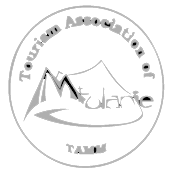 We would like to make you fall in love with those African peculiarities and specificities and of all those special places that we discovered in these years that have fed our passion. Our passion for photography has brought us to collaborate, starting in 2006, with Edoardo Agresti, NPS photographer leading Nikon School Travel, a travelling school of photography, with which we organize photography workshops on reportage. Since 2008 we have been organizing, together with Federico Veronesi, a wildlife photographer who lives in Kenya, workshops on wildlife photography; besides, our Managing Director Mr. Stefano Pesarelli is also a professional photographer and we can help you in understanding how to make better photos. With the collaboration of other experts, who stand out for their professionalism, we organize birding safaris, wildlife workshops, trekking and hiking tours, expeditions by bicycle, art safaris and other photographic workshops. 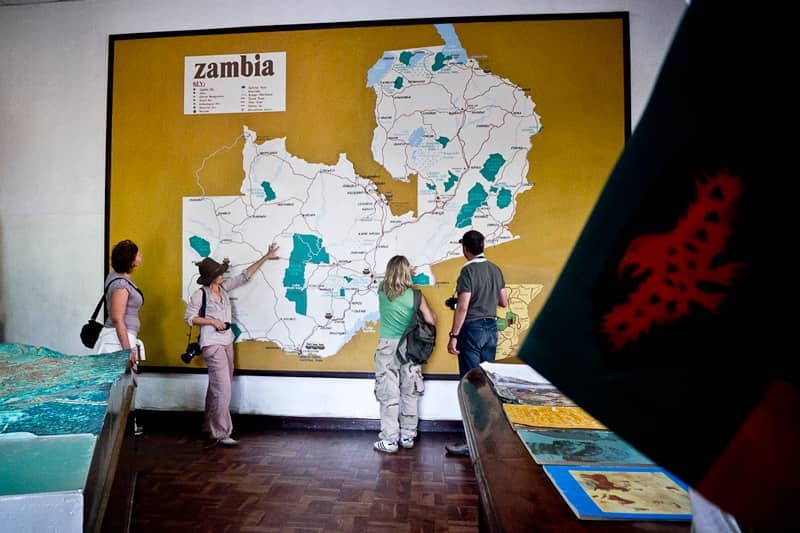 As well as the classic expedition of the Tour Operator Africa Wild Truck in Malawi, Zambia, Mozambique, Tanzania, Botswana, in which the space for photography lovers is however wide, we offer photographic workshops of reportage, wildlife photographic workshops, art safaris, tailor made tours and Voluntourism. You can find us also on Safari Bookings. Stefano Pesarelli, born in 1969, is a long time passionate traveler. After travelling as backpacker in the Middle East, and later in Japan, Sri Lanka, Indonesia, Malaysia, Myanmar, Thailand, Singapore and India, and then Europe and South America, the love for Africa blossomed from the time of his first footstep in this marvelous continent. Since that time his desire for a deeper knowledge has never abandoned him; in 2004 he organized, with his wife Francesca, a 4 month-long lonesome Trans-Africa trip covering 23,000 km from Turin to Mozambique, crossing the deserts of Lybia, Egypt and Sudan to the Ethiopian plateaus, towards Kenya and Tanzania reaching the coasts of Mozambique guiding an old FIAT Campagnola; up to now he drove 5 times around the world in Africa Continent. Back from that fantastic journey (torinoilha.net), the adventure of Africa Wild Truck starts. 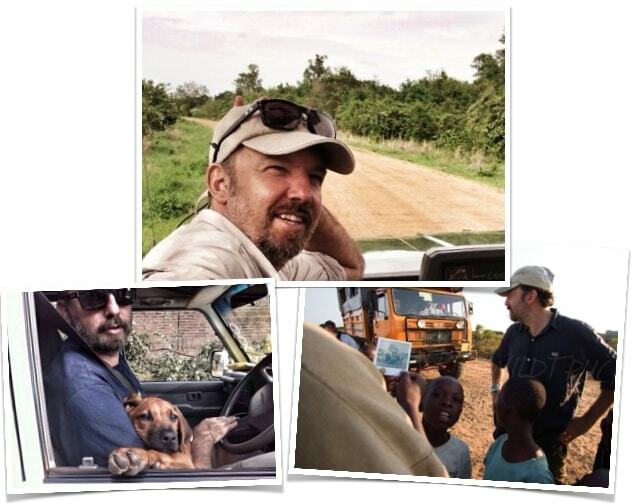 His in depth knowledge of the areas that we visit makes him not just a good field guide (being an expert in African flora and fauna, bird identification) but – most important – an excellent travel companion. Sitting by the fireplace and under an African starring full of stars Stefano will tell you many anecdotes and life-stories in Africa. Stefano Pesarelli lives and works in Malawi with his wife Francesca. He is often on a safari, travelling through Malawi, Zambia, Mozambique, Tanzania and Kenya where Africawildtruck’s expeditions focus on. Since 2009 Stefano Pesarelli is also a professional photographer member of Canon Professional Services (CPS), registered with both FIOF and AFNI. Many of his photos have won International awards as the Black and White Professional Awards, the PX3 Prix de la Photographie Paris and the Photo Contest 2011 of NATIONAL GEOGRAPHIC USA. He was awarded with the Qualified Italian Photographer (QIP) prize and later Qualified European Photographer (QEP). He has been tutor and contributor for Manfrotto School of Xcellence and he is member of Oasis Photographer, the eminent environmental culture magazine Oasis. Stefano Pesarelli is also a member of Shoot4Change. Some of his shots have been displayed in Berlin, Rome, Lilongwe and many Italian cities and published on important magazines like Witness Journal, Nigrizia, Africa, Repubblica.it or Lastampa.it. As well as collaboration with specialist magazines, he is also author of some travel guides for the publisher Polaris including “Tanzania”, “Mozambique” and “Malawi and Zambia” (coming soon). He is actually working on the project Africa through iPhone, a collection of images from African changes taken and processed with an iPhone presented on the best photography blogs; with his photos he has honoured the work of many international ONG. Stefano took recently part to an intensive Tourism course organized by Malawi Government on Tour Design. His own web-site is www.stefanopesarelli.com. Francesca Guazzo was born in 1978. She graduated at the Polytechnic of Torino in Architecture in 2005. The subject of her thesis was a small island in Mozambique, “Ilha de Moçambique”, World Heritage for UNESCO, which she reached with her husband Stefano on a 23,000 km journey, on board of their old 4×4 FIAT Campagnola (torinoilha.net) leaving from their own city. It was a 4-month long lonesome Trans-Africa trip, from Turin to Mozambique, crossing the deserts of Lybia, Egypt and Sudan to the Ethiopian plateau, towards Kenya and Tanzania reaching the coasts of Mozambique. With her husband Stefano, at the end of 2004, they started the adventure of Africa Wild Truck, a Tour Operator specialized in African trips and eco-tourism. The desire to understand in depth the traditions, the contact with local people, the conservation and protection of nature, are aspects which Francesca loves to be involved with also during their African expeditions. Her knowledge of the territory, accommodations, new travel opportunities are a key element in Africa Wild Truck’s organization and relations. 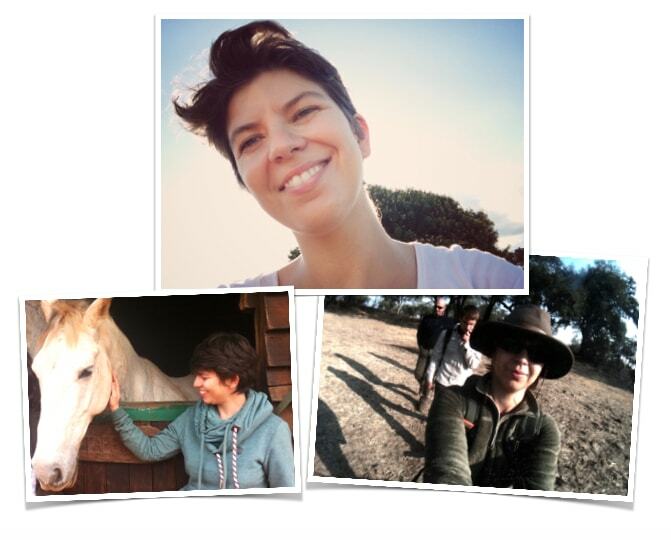 During the last ten years Francesca has traveled at least 6 times around the world in the African Continent. As well as collaboration with sector magazines like Africa and others, she was contributing at Tiscali Viaggi and she currently writes for Vanity Fair where she has her own blog in Italian language called Africa United. Her works and drawings have been published also in some travel guides of whom she is author for the Italian Publisher Polaris including “Tanzania”, “Mozambique” and “Malawi and Zambia” (coming soon). Francesca took recently part to an intensive Tourism course organized by Malawi Government on Tour Design. Her personal blog is www.francescaguazzo.com. Marvellous was born in Malawi in 1993. 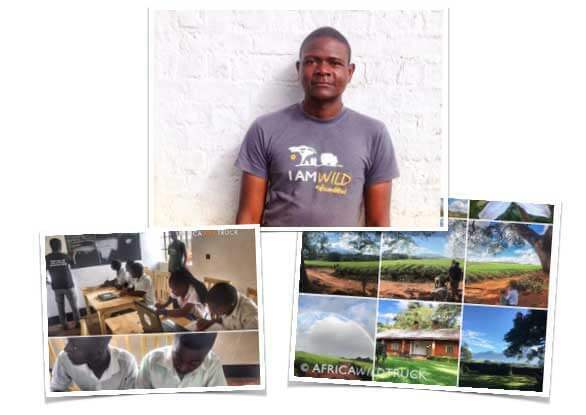 He is working at Africa Wild Truck, currently covering the position of office assistant and lodge receptionist. He is an hard worker, very precise. He can also speak few words in Italian. He is in charge of our Keepod – Rachel outernet on-line library project. He is studying a course in Administrative Studies at Nasawa Technical College in Zomba, which he will graduate in 2019 with Advanced Certificate. Despite being so young, he is very responsible and dedicated to his job. My name is Marvellous and I am part of Africa Wild Truck staff since January 2018. I like meeting different people from the world and share experience of life and also travelling.For this I chose Africa Wild Truck to be the place to do my studies due to its vast african experience. At AfricaWildTruck,I am working as an office assistant and receptionist together with a team of dedicated men and women to achieve the goal of our company. Lastly I like seeing alot of people visting AfricaWildTruck which is a gate way to real african experience. I hope to see you soon. Wilson was born in Malawi in 1989. He is working at Africa Wild Truck, currently covering the position of office assistant and driver. He is an hard worker and he can teach you Chichewa, Malawi local language, during your stay with us. He can also speak few words in Italian. His background is in Mulanje, with local people and for local people. He is very energetic and he attended a course in Human rights during the past. He loves traveling, sharing knowledge and his country. My name is Wilson and I am part of Africa Wild Truck staff. I was born on 15th June,1989. I met Francesca and Stefano when I was working with FOMO during the past. I like travelling and after my contract of working expired,I write an application to AWT and I got the job. Indeed I like travelling and also playing football. For my qualifications, I did IT and and Human resource courses. I work in office as office assistant and I also drive since we work as a team to achieve our company goals and learn from others too. For football, or directors are there to make sure that people around the community especially youth has to be busy as players. Lastly, it is my wish to see us Africa Wild Truck be one of the best tour operator in Africa. Other staff members. Only few years ago Africa Wild Truck was only made by two members and one single truck, then we started growing and building all the bricks that lead us up to now. Nowadays we are employing twelve local people as a permanent staff, and a good number number of local freelance guides and drivers. 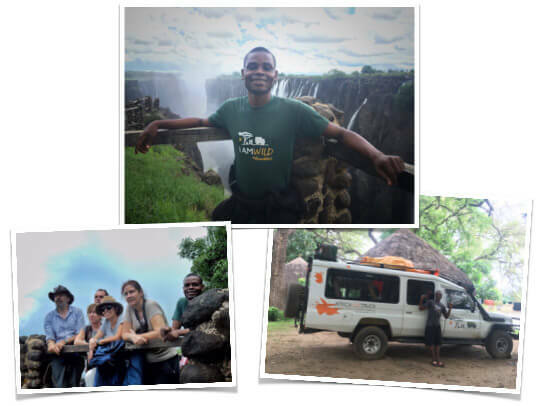 Our permanent staff members are covering different positions; most of them you will not even meet during your safari, but to us they are equally important! Here you can see some images of our annual meetings, with their families and children too! Oh, for sure, we have to mention our newborn Lorenzo nicknamed “the explorer” and our beloved dogs too!